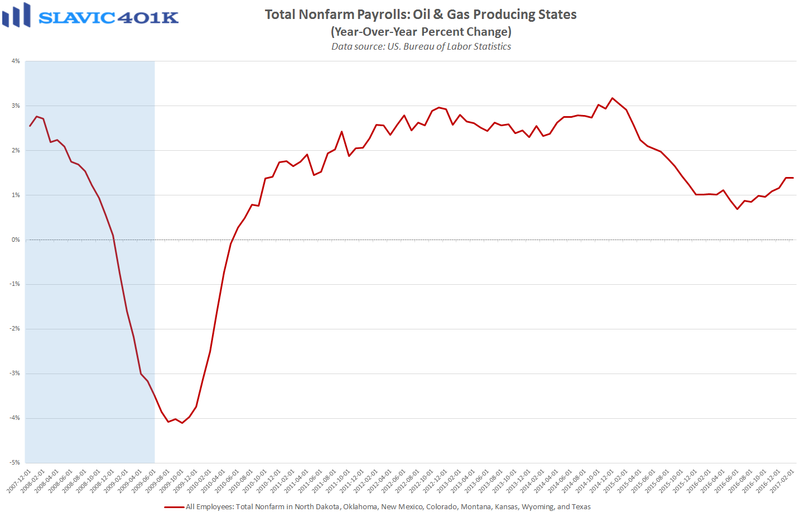 A few weeks after every big monthly job report comes out, more detailed information is released showing a breakdown of the payroll gains and losses in each state. 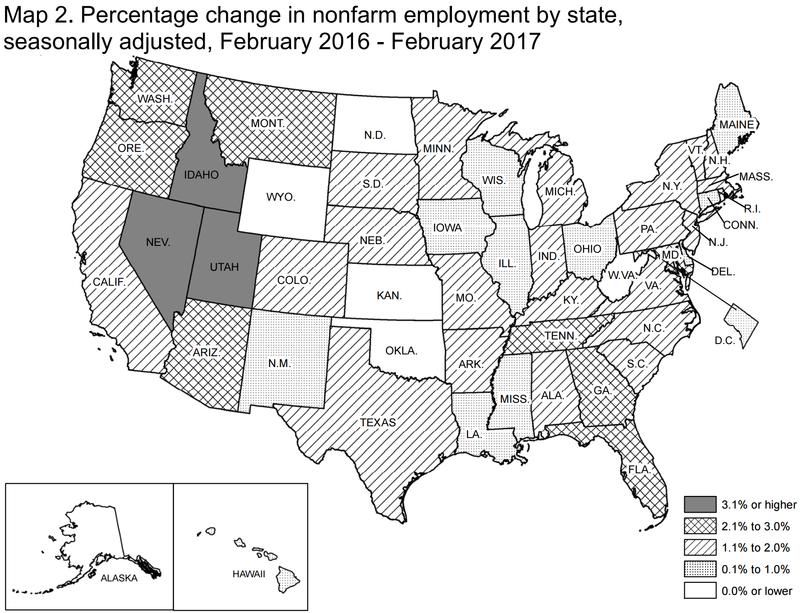 The latest of these extended reports showed that eleven states had statistically significant month-over-month increases in nonfarm payroll employment in February, and no states had significant decreases. Over the past year, thirty-one states had statistically significant increases in nonfarm payroll employment, while only two states experienced notable declines. The largest absolute gains in employment last month occurred in Illinois (+25,600), Ohio (+15,200), and New Jersey (+12,600). 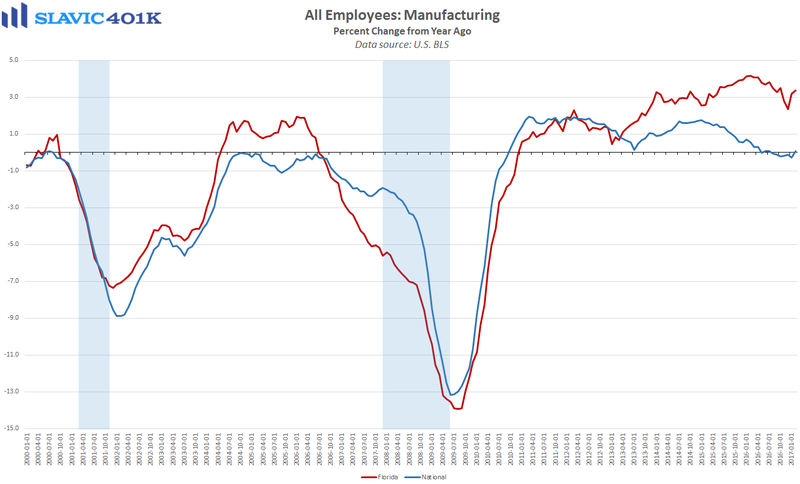 Other regional employment highlights include that Florida is still outperforming in terms of manufacturing hiring, and job creation in major oil and gas producing states continues to slowly recover. 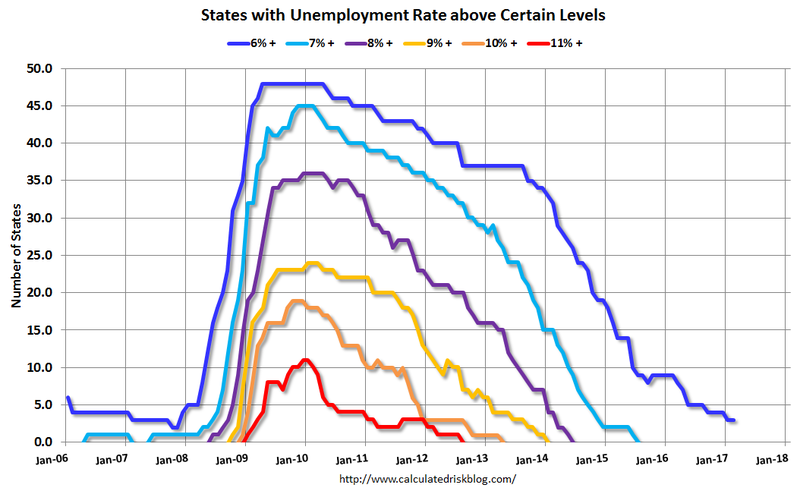 As for joblessness, ten states in February experienced statistically significant unemployment rate decreases from the prior month, and only one state saw a notable increase (Massachusetts). 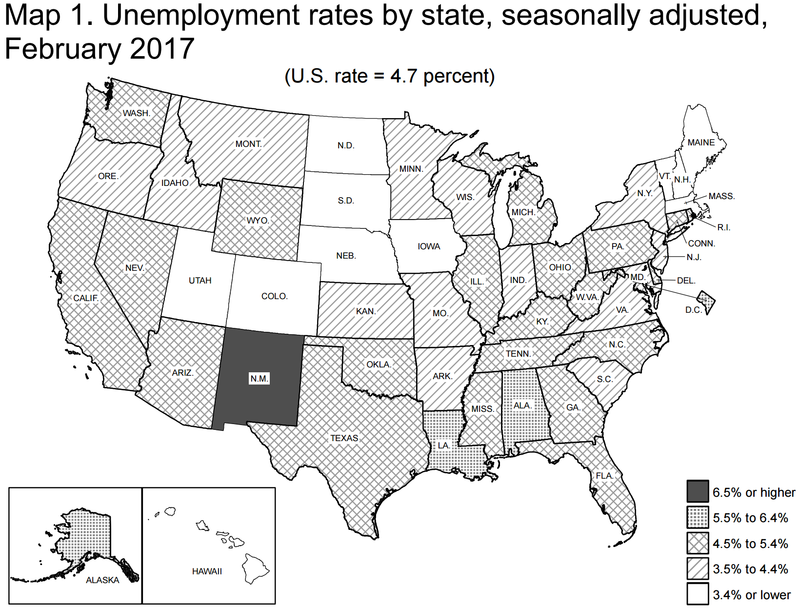 Compared to a year ago, nine states had statistically significant unemployment rate decreases, with the largest decline found in Nevada (-1.2 percentage points). 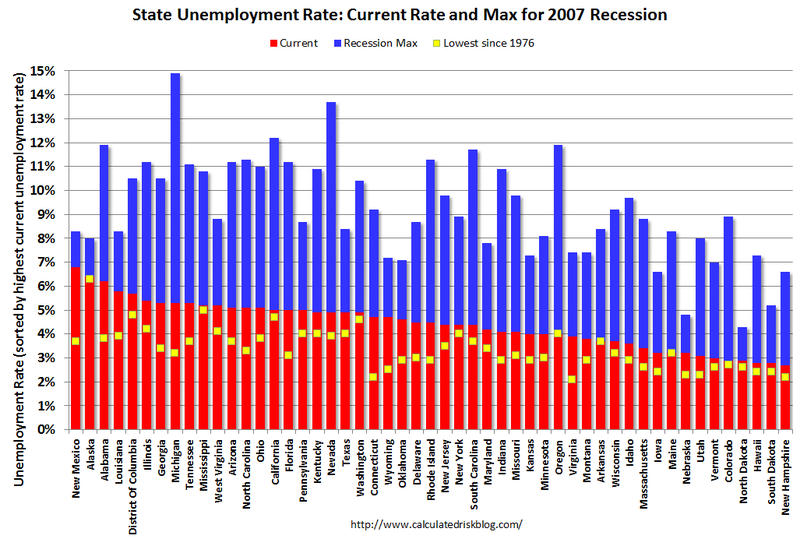 No states have experienced significant unemployment rate increases over the past twelve months. The lowest unemployment rate in the country in February could be found in New Hampshire (2.7 percent), while New Mexico had the highest rate of joblessness last month (6.8 percent). For comparison, the national rate of unemployment (U-3) was 4.7 percent in February.